$49 Exam Special. Call Now! Welcome! If you were involved in a motor vehicle accident and sustained an injury, no matter how minor, it is critical that you seek medical attention from a car accident doctor to avoid long-term problems in the future. We are a leading chiropractic clinic specializing in auto accident injury treatment. Our chiropractors pay special attention to injuries unique to car accidents such as whiplash, back pain, neck and shoulder pain, and any other musculoskeletal and soft tissue injuries. We will develop a personalized treatment plan to help your body heal. If you're experiencing pain, headaches, dizziness, and/or blurred vision following a car accident, let the auto accident chiropractors help you get the care you deserve. Call now for an appointment! In August, 2006, I was diagnosed with a disc protrusion of my L5 vertebrae and could barely remain upright. This condition was accompanied by constant sciatic nerve pain. The pain was so severe that I thought surgery was the only alternative. However, to my delight, just 10 weeks after my initial visit and consultation at Scenic Health & Chiropractic, the pain has subsided tremendously and I have experienced a significant increase in strength. The doctors prescribed a comprehensive approach to my recovery which includes a combination of physical therapy, cold laser therapy, electronic stimulation, traction, therapeutic massage, and chiropractic care. Did you know that most injuries caused by auto accidents go undetected for months or even years? 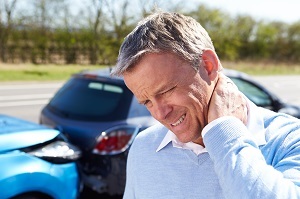 One of the most common injuries from a car crash is the damaging effect of whiplash. Whiplash occurs when a sudden, jarring movement of the head is sustained backward, forward or even to the side. As the spine is thrown forward, the tendons and muscles around the spine can become torn and damaged. As a result, many people suffering from whiplash will begin to experience a number of uncomfortable symptoms, including: neck and back stiffness, muscle soreness, headaches or migraines. Typically, the symptoms of whiplash don't present themselves until a day or two following the accident. However, if you have recently been in an auto accident, it's generally recommended that you seek medical care for whiplash as soon as possible. If you act quickly enough, you may be able to mitigate the severity of your symptoms and expedite the healing process with the right treatment. Our approach to car accident rehab does not involve the use of surgeries or pain medications. Rather, we start with the source and cause of the pain and address that for you. Our car accident doctors create customized programs that improve function and promote healing in a timely manner. Chiropractic care focuses on rehabilitating the soft tissue that connects the muscles, ligaments, and nerves in your back. This is accomplished through massage therapy and low-impact exercises. Our car accident rehab doctors will start by taking a full examination, often utilizing X-rays to examine any injuries to the neck or spine. It will also involve spinal adjustments to ensure that the spine is restored to its original position and capacity for movement.